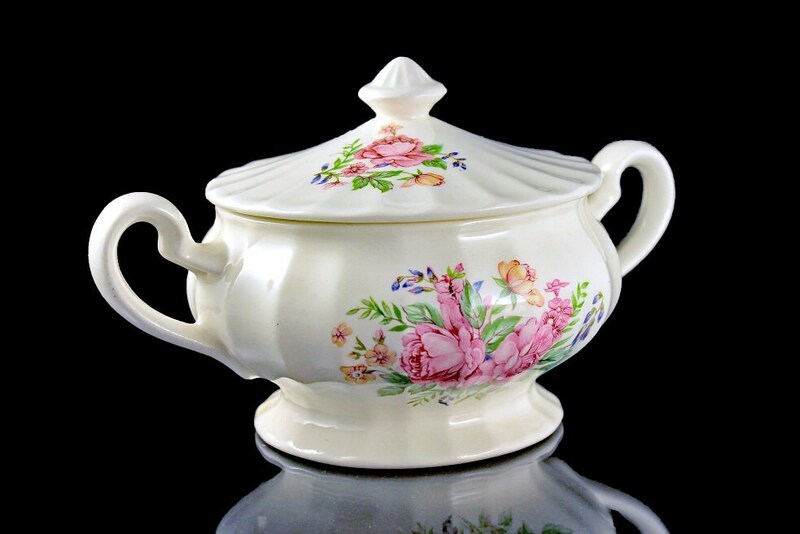 This is a gorgeous lidded sugar bowl by Edwin Knowles China Co. It has the Semi Vitreous back stamp. The pattern is called Picardy it is a lovely floral bouquet. 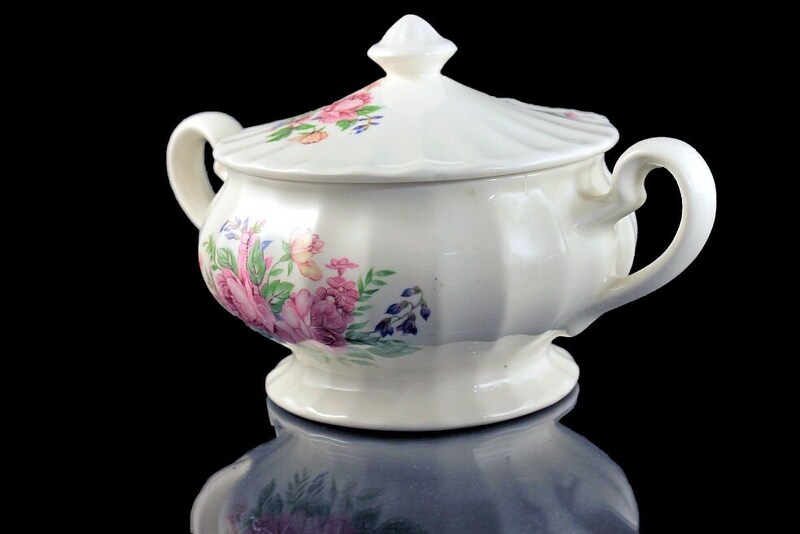 This sugar bowl is a hard to find item. It is cream colored. A beautiful addition to that morning coffee, afternoon tea, or anytime. Edwin Knowles founded the firm Knowles, Taylor and Knowles Co, which was considered to be the largest pottery in the world during the turn of the century. 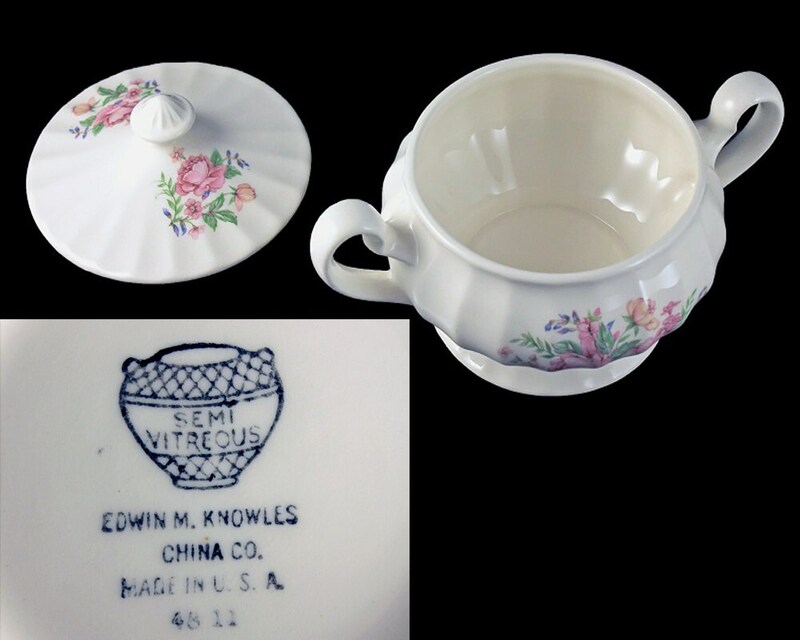 In 1900 when he became the President of the company its name changed to Knowles China Co. He remained the President of the company until he died in 1948. After that William Harris Jr. served as President through the 1960s. This company ceased operations in 1962. 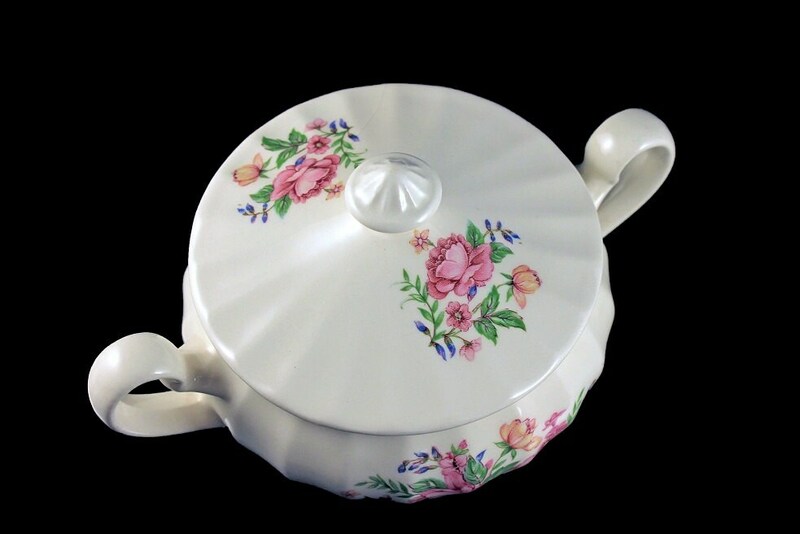 Even though this is a sugar bowl it is cute enough to be used for a variety of purposes. 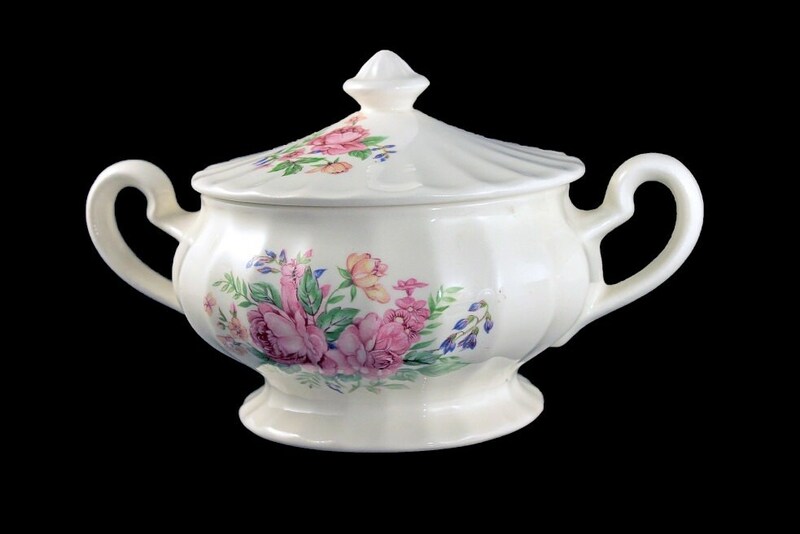 A dainty candy dish, a trinket holder, or to hold a number of different small items.